Transgender and Gender Non-Conforming Communities experience marginalization, stigma, discrimination, and structural discrimination more than any other minority community in the world. Until recently, our existence was not counted, and our visibility was suppressed. 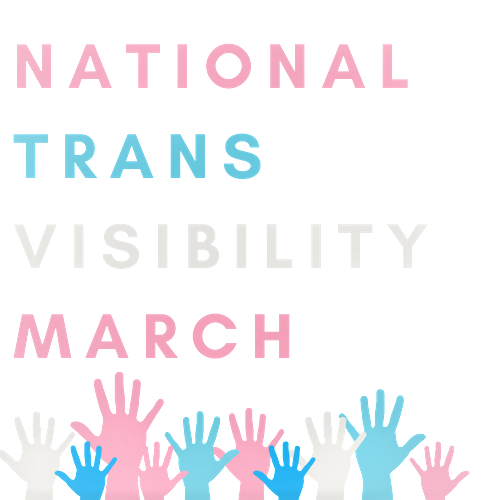 Although the current administration has intentionally rolled back efforts to prevent inclusion our communities in the US census, individuals from the trans and gender non-conforming communities have mobilized and issued a call to action to dismantle the social structures that have oppressed us and disenfranchised our communities. Today, we stand together in solidarity, determined now, more than ever, to fight for equal rights to employment, education, housing and financial security, physical safety and security, and health parity. Together we will deconstruct the policies, laws, and systems that have jeopardized the health and safety of our families and ourselves. Together we will call out and stand against anyone who discriminates, or initiates acts of violence against one of us. Because when they discriminate against one of us, it affects all of us. Today, recognizing our diversity, we speak out and demand our rights with one voice. The time has come for us to ignite and initiate change at every turn. The time has come for us to amplify our voices in the Nation’s capital, our local communities, and other cities across the globe. The time has come for us to march on the streets of Washington, DC and other metropolitan areas. Join us on Saturday, September 28, 2019 as we march in solidarity in support of equal rights and inclusion for our community. Family, March With Us…to demand justice for the lives that were taken through senseless murders. Family, March With Us…and demand financial equity and employment opportunities for. Family, March With Us…to fight for health equity. Family, March With US…and demand OUR inclusion in the US Census. Family, March With Us…to show the World that our lives matter, that our health matters, that our present and future matters, that our voices matter, that our minds matter, that our feelings matter. Family, March With Us….to show the world that NO DECISIONS ARE MADE ABOUT US, WITHOUT US!!! They did NOT count us in the Census, but they will have to count us on the Hill.